Christmas has officially arrived in Hartlepool - with families across town turning out for the annual lights switch-on. 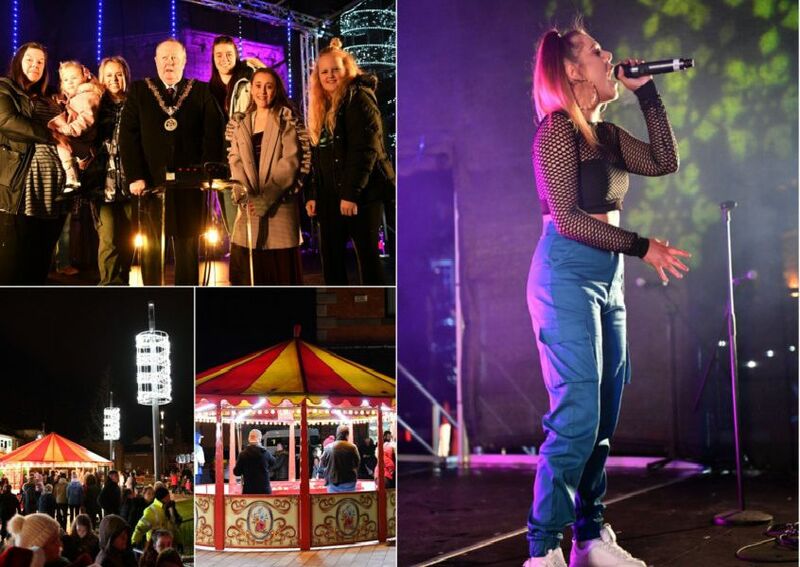 The festive season got underway on Friday as boxing champion Savannah Marshall, X Factor star Molly Scott, Children of Courage Dottie O’Keefe and Neisha Webb and Keep Britain Tidy litter hero Jessica Stones joined Hartlepool’s Mayor, Councillor Allan Barclay, in pressing the button to signal the start of Christmas. See if you are pictured in any of our pictures from the big night. Hay Amelia Stanczak at the Hartlepool Christmas light switch-on. Lilly McPartlin enjoying the Hartlepool Christmas light switch-on. Crowds at the Hartlepool Christmas light switch-on. Mayor of Hartlepool Cllr Alan Barclay with (left to right) Dottie O'Keefe with her Mum Helen Moon, Molly Scott, Savannah Marshall, Neisha Webb and Jessica Stones.